Herts Baseball Club is one of the largest baseball organisations in the UK. As part of our campaign to promote the game, we are giving male and female players of all ages (kids and adults) the opportunity to play baseball and softball. CAN I TRY BASEBALL OR SOFTBALL? We have a series of open baseball and softball sessions and other events for anyone who is interested to play. Some sessions will be for youth players (4 to 16), others will be for adult players (14 and above). Everyone is welcome to take part – from complete beginners to accomplished players. Below you will find details of upcoming open sessions. If you plan to attend these sessions please email us in advance so that we can contact you if there are changes due to bad weather conditions etc. These open sessions are free. Participants should wear sports clothing and footwear. All baseball and softball equipment such as fielding gloves, bats, balls, batting helmets, etc will be provided free of charge during these open sessions. These sessions are quite popular so please contact us in advance if you plan to attend. We will then confirm your place at this event and send you full details. Contacting us in advance also enables us to notify you if there is a cancellation due to bad weather etc. I WANT TO PLAY REGULARLY. CAN I JOIN THE CLUB? 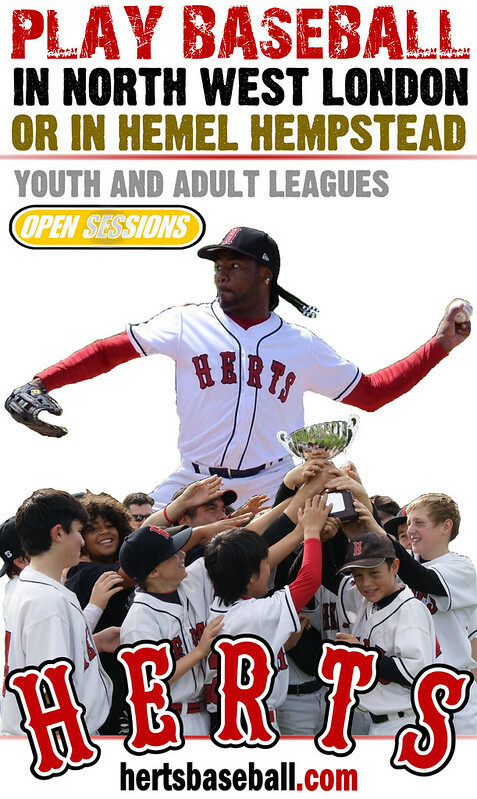 Herts Baseball Club is able to add you to one of its adult or youth baseball or softball teams where you can experience the excitement of league competition playing on the regional, national or even international stage. We also have membership packages for those interested in playing recreationally from time to time. We welcome all players, male and female, from 4 to 60+ years of age, from complete beginners to advanced players. To find out more about becoming a member and what you can expect click here for baseball . Or click here for softball.